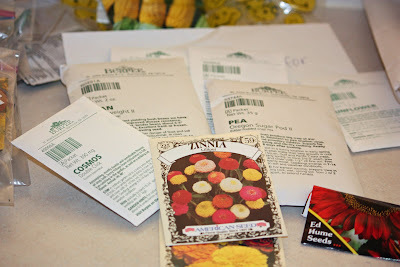 I've been sorting through seed packets, organizing them as to when I need to start them indoors. Petunias are this week. Most other seeds will be started in early March, but petunias need extra time to be almost bloom-ready when outdoor planting season begins May 10th. I have that EXACT same package of zinna seeds! Heh! Yes... it is getting time!! Okay! But it is already February so....! Hi Rusell - did you get your zinnia seeds at the dollar store? I picked those up ten packs a couple of years ago, 10 for $1. They do great! I actually won't start those seeds until the third week in March. It's only the petunias that need to be started now.